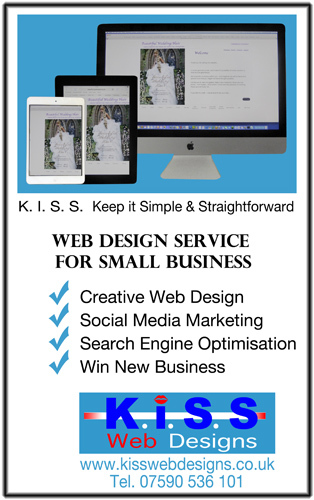 We go the extra mile to build modern and affordable small business web sites the KISS way. Every project is 100% bespoke and our aim is to delight and exceed expectations. - providing advice on the little things like reserving an effective domain, email and hosting your site. - offering guidance on the most appropriate text, contentand structure for your site to win business. - ongoing maintenance support dealing promptly with any updates. Kiss Web Designs is based in the Cotswolds near Cheltenham Gloucestershire. Let's talk about your requirements - please get in touch. Chris passed Google's demanding exam to become an accredited Google Advertising Professional. We have experience of successful 'Pay for Clicks' Google Ads campaigns across different business sectors. Social media is also a great tool for promotions, competitions and launch of new services. We'll help you set up Twitter, Facebook and LinkedIn accounts to build a community getting posts and information about your business. 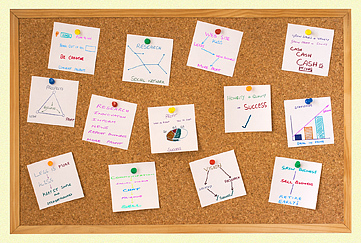 We also have experience of regular blogs and newsletters.
" 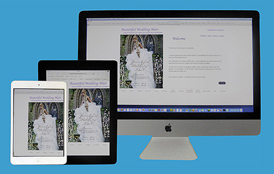 Kiss Web Designs has given my business an unbelievable boost. " " The standard of work is high and interpreted very well indeed. Above all, Kiss Web Designs are speedy and affordable. " " We are very happy with the work you have done for our website's optimisation for search ranking. " We specialise in building bespoke optimised web sites for small business. Since 1996 we've created many successful websites tailored to clients' budget. Utilising Chris's financial know-how as a retired business bank manager our sites aim to win new business and provide a successful return on investment.